The extinction team including Storm face off with the race of sinister. After they learn he’s using Cyclops mind as a template Emma promptly shuts them down. A newly created Sinister Prime congratulates them before stealing the building and doing Hara Kiri. 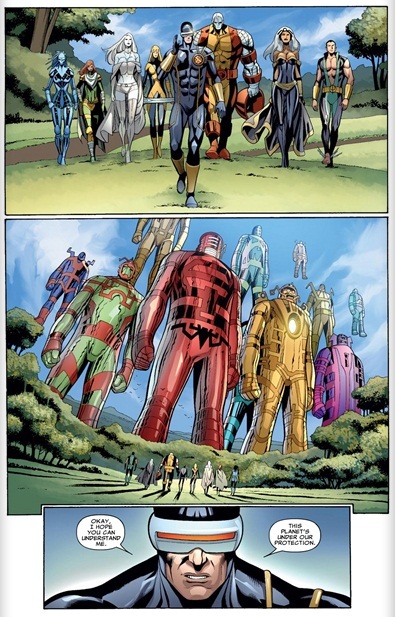 They teleport back to Magneto and stare down the celestials who have just arrived. They manage t convince them that the dreaming celestial nd earth and fine under their protection , the celestials depart winning for them the awe of the crowd and a first step in establishing themselves as earths greatest team. First Arc done- Thank the celestials this ghastly first adventure for this titanic team has come to an end. Honestly it was far from thrilling. Verdict- Well the team has established itself as some of earths mightiest by facing down the celestials. That’s pretty good. Seriously?- We spent three issue and had sinister attack for the express purpose of having the team tell the celestials they are earths new badasses and they should leave? Yup I feel inneed of at leats on refund on an issue of this story because it dragged on too long. Art- Still not up to par or standard of any of the artists involved. How can this look so minimalist and rushed with Carlos Pacheco as the supposed artist? I’m devastated by the mediocrity. 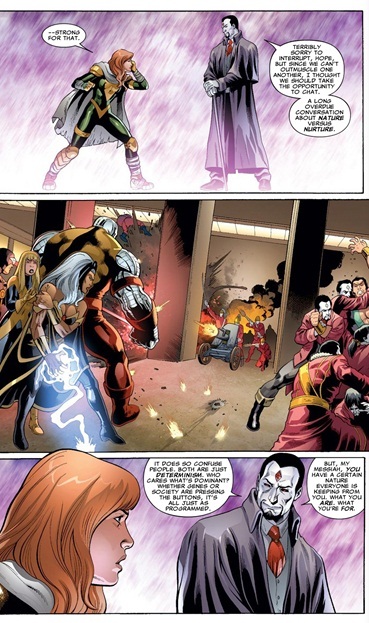 Useless- Storm, Colossus and Magik were just background characters with nothing to do, not cool! I stopped reading this arc with issue #2. It was rather boring, and a complete waste of good characters. 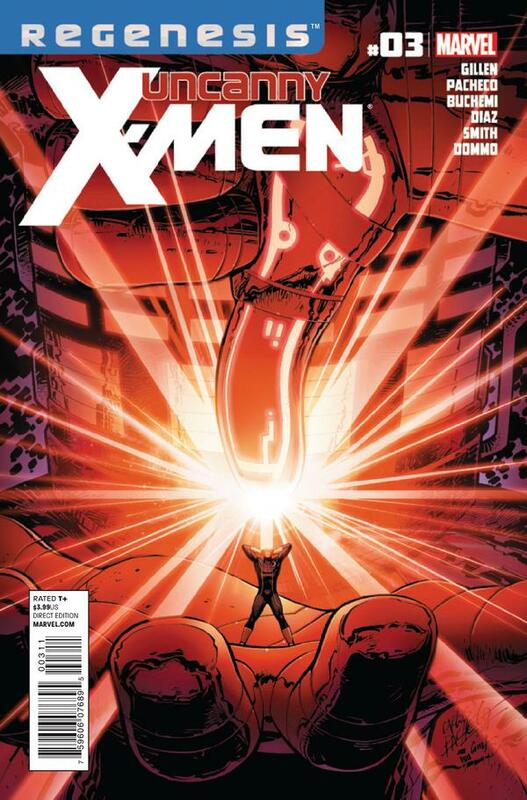 The story arc in Uncanny X-Men has been much more compelling, both visually and textually, by comparison. The utilization of the characters’ unique qualities have been admirable.